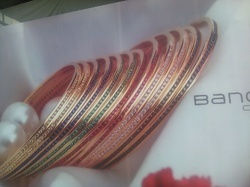 We are offering the 925 Sterling Silver Bangles. Composed with a full round on upper side of the bangles, our bangle features designs from a specially optimized bangle-designing machine that comes imported for its quality features. 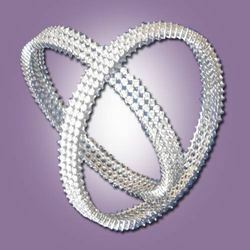 We are offering the Designer Silver Bangles. Composed with a full round on upper side of the bangles, our bangle features designs from a specially optimized bangle-designing machine that comes imported for its quality features. Looking for Silver Designer Bangles ?